latest fashion high neck blouse for Bollywood fashion trend. New arrival of saree blouse collection photos. EMBROIDERY highly look for this blouse .black colour COCKTAIL high neck embroidery blouse.This blouse is beautiful embellishments and trendy front neck. 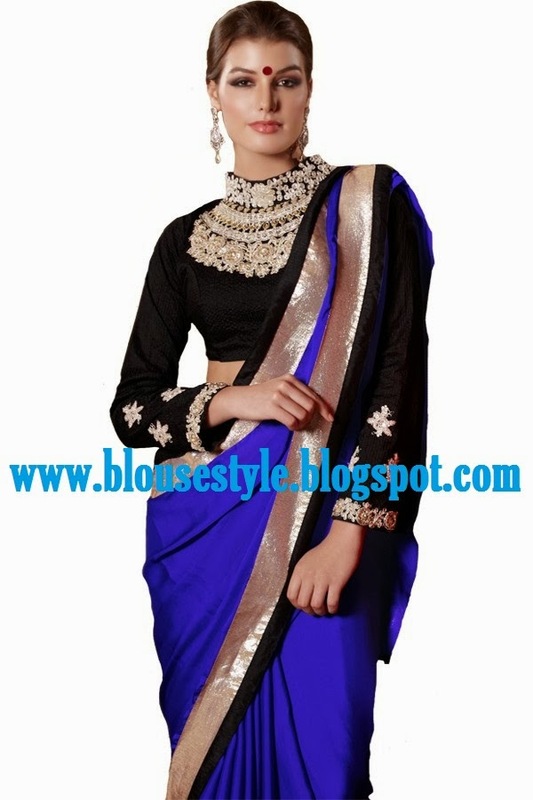 This saree Dark blue colour zari work saree.